It feels long overdue for boxing fans, who for five years have had to wait through negotiations, trash talk, and allegations of everything from steroids to fight-ducking. Now with less than 24 hours before the anticipated matchup between Floyd “Money” Mayweather, and Manny Pacquiao , the fans are left wondering if the hype is real. Fans may have to wait one more day to see if the blows will be exchanged with the same ferocity as the words, but the speed with which the cash is being exchanged is already unanimous. The mega-bout is estimated to bring in around 400 million from Pay-per-view sales, ticket sales, sponsorships, and merchandising. Who are the biggest spenders contributing to the 80 million that Kornegay expects to see booked by Saturday night? Former world champion Adrien Broner told FightHype that he will be putting his money on…’Money’. “I’ll probably put like 25-50 thousand on the fight” said Broner, and at least “10 thousand on the stoppage…I’d say about eighth round”. Two time Welterweight champion Andre Berto stands to make $45,000 off of a $100,000 bet if Mayweather wins on Saturday. Not a bad payday for the boxer on his day off. Nothing to squash the beef quite like 1.6 million. In an interview with Power 105.1’s morning show “The Breakfast Club, rapper and business mogul 50 Cent said he’s “Taking the champ” for 1.6 million after speaking to Mayweather at a Chris Brown concert for the first time after their twitter feud. “He can’t lose” confided 50.
Who then, has the Pac’s back? A bet from the hustler himself Larry Flynt, who ambiguously told TMZ SPORTS “I think Mayweather’s gonna win, but I’m betting Pacquiao . Now figure that out”. Let’s not forget the personal bet made on instagram between Mark Wahlberg and Diddy to the tune of $250,000. 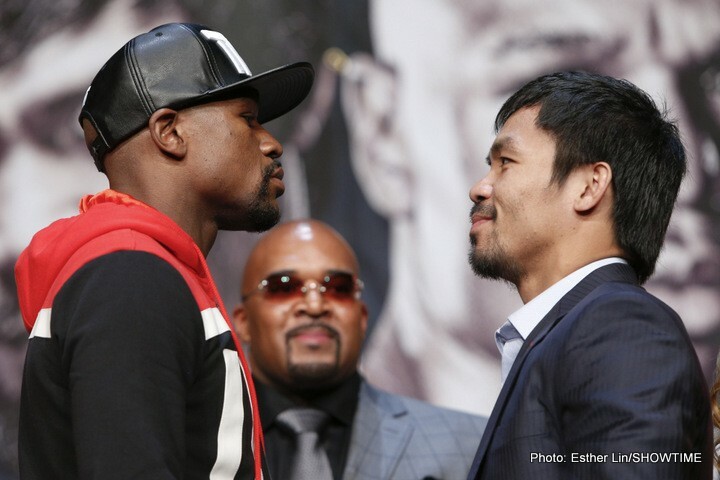 The star of “The Fighter” siding with Team Pacquiao , and Diddy betting on the Money Team. Whichever boxer takes the win tomorrow, one thing is certain. There will be some very happy people smiling along with him.